Attorney Greco will help you through the Will or Probate process. Thomas J. Greco offers a wide range of services to clients and their families in regard to estate planning and execution. He specializes in Probate work, which includes Guardianship for adults and minors, and Conservatorship for those struggling with incapacitation. He also drafts Wills and helps Probate estates. Estate planning is an essential part of life, but even a well-designed estate plan can flounder due to inadequate administration or unfamiliarity with the process. 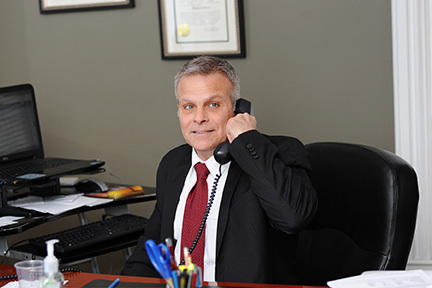 Thomas Greco will work closely with you and your family to help you successfully navigate through the complex probate administration and tax compliance requirements. Probate is the process by which the assets of someone who dies are distributed. If the deceased left a will, the court tries to honor the requests. However, if there is no will, the assets are distributed as the court deems appropriate. If you want your friend to receive a larger inheritance than your niece, it is important that you leave will.